The Pioneer 2 is designed for comfort and practicality; it has an upright riding position making it a pleasure to ride both for leisure and commuting purposes. 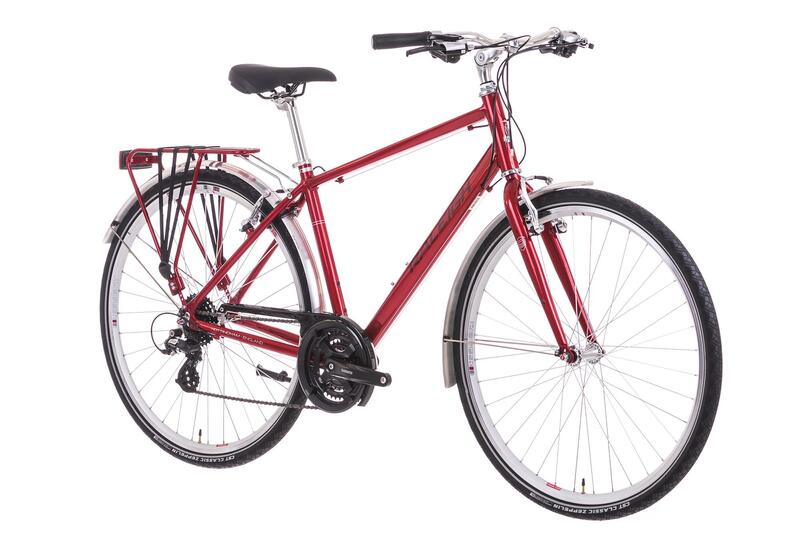 This bike is fully equipped with a kickstand, pannier rack and strong alloy mudguards in a highly polished silver finish meaning you’re ready to go straight from the shop. 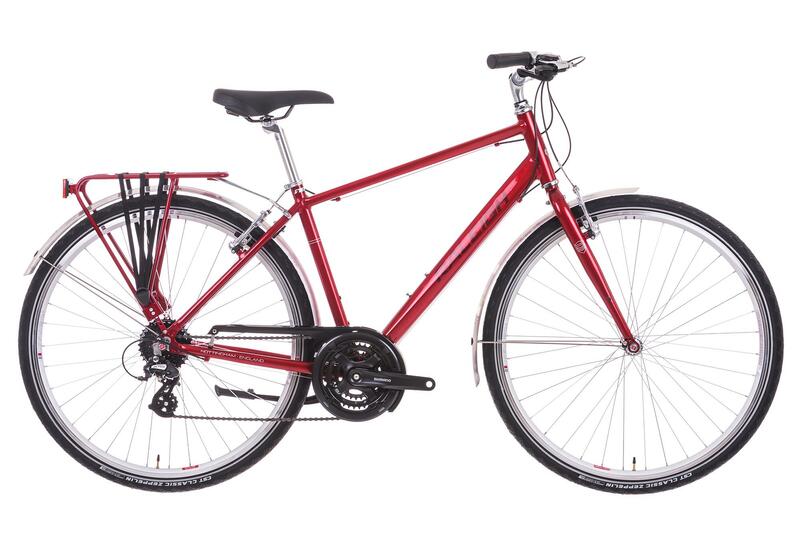 The Pioneer’s frame boasts a high quality finish with unique metallic paint colours and silver highlights giving the bike a stylish look to match its practical nature. 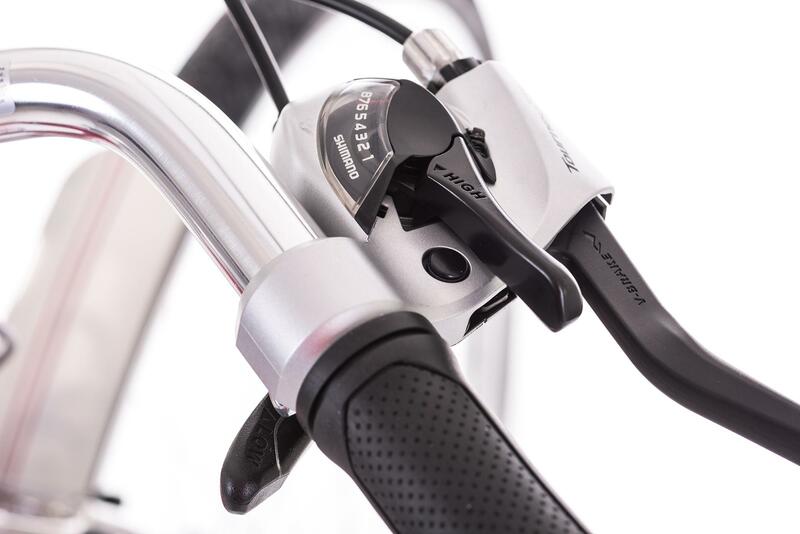 The adjustable height handlebar and stem provide flexibility for the rider and plastic scuff protection on either side of the Selle Royal saddle means you can lean your bike against a wall or other rough surface without having to worry about causing damage to your bike. CST Zepplin high volume tyres with puncture protection mean you won’t spend all your time at the side of the road fixing that nasty puncture and to help make sure that you’re seen and safe at night the tyres are completed with a reflective strip around the tyre rim.